Yes as the title of this article BSNL Unlimited Calling Plans you listen right. 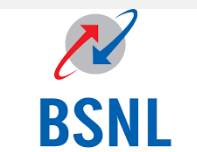 BSNL (Bharat Sanchar Nigam Limited has launched something new for their all users. Its BSNHL FTTH/Broadband unlimited plans. Jio are going to launch their Jio Fiber (Broadband) plan soon. in this plan Jio will give Unlimited calling and unlimited internet data to all of its users. BSNL announced the BSNL user who subscribe any Broadband plan between Rs.249 to Rs.645, will able to make unlimited voice calling to any BSNL number in India. There are many new BSNL FTTH/Broadband plans like Rs.1045, Rs.1395, Rs.1895 plans. in these plans users will get more internet data upto 200GB. yes 200GB high-speed data. If we talk about Reliance Jio Fiber plan (Coming soon) will give unlimited calling and upto 1.1TB data to it’s all users who subscribe for the plan. Jio increase (added) additional 100GB free data per month per user. Now we talk about BSNL Family plan, as the name family plan we sure its have lots of benefit for our family members. BSNL Family plan worth of Rs.1199. in this BSNL Broadband plan BSNL offering Mobile Internet data (Prepaid Mobile) + Unlimited voice calling. subscribe will get 30GB data for 1 month. Subscriber can add their family members in this plan (max. 2 members can add). Each of member get unlimited voice calling and 1Gb data per day. So guys these are the new BSNL Unlimited Calling plans. here with BSNL you can enjoy Brodband high-speed in your Laptop and mobile + unlimited voice calling all over India. Note :- If you like our new article every day then please don’t forget to share with your friends and family members. we write new articles on our readers interest. you can find many Free Recharge Tricks. on our website.